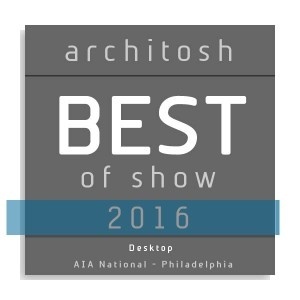 2) Our Vectorworks Architect software received an AIA “Best of Show” award in the Desktop category from Architosh. Learn more about what won us the coveted title here. 3) Check out Architect and Writer John Helm’s review of our upcoming #Vectorworks2017 feature, Virtual Reality, to stay up-to-date on how this new tool can change your workflow. 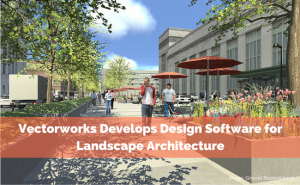 4) Read this in-depth interview with our CEO Dr. Biplab Sarkar from the 2016 Vectorworks Design Summit, where he speaks about his new role and upcoming developments planned for our software. 5) The article “A Zero Sum Game?” in CAD User explores the capabilities and benefits of stormwater management in Vectorworks Landmark software. 6) While not strictly reading, watch this video interview with our own Product Marketing Manager – Entertainment Frank Brault, who scored some camera time with rave Publications during the InfoComm conference last month in Las Vegas. Want to make your own headlines? Email news@vectorworks.net with project photos and details about your latest inspired work, and you could be next!